Shipston-on-Stour Accommodation Cotswolds England UK - Shipston-on-Stour is a small market town situated in South Warwickshire and ideally situated for visitors to Stratford-upon-Avon and the northern Cotswolds. Shipston has a thriving town centre with a wide variety of retail and commercial businesses catering for both residents and tourists alike. 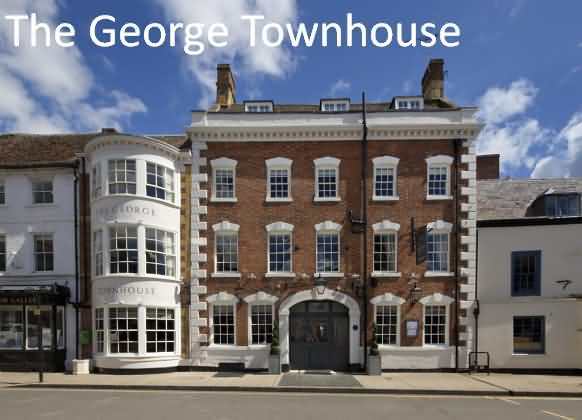 The George Townhouse is a contemporary coaching house in the heart of Shipston-on-Stour. With spacious en suite rooms and free WiFi, the hotel features a stylish restaurant and lounge bar with roaring fires in the winter. The elegant dining rooms at The George Townhouse serve a creative menu using seasonal, British produce. The Lounge Bar offers casual meals, morning coffee and afternoon tea with homemade cakes. The modern, airy rooms all feature a king-size bed, flat-screen TV and an iPod dock. Rooms also offer free mineral water and a refreshment tray, including tea, coffee and hot chocolate. 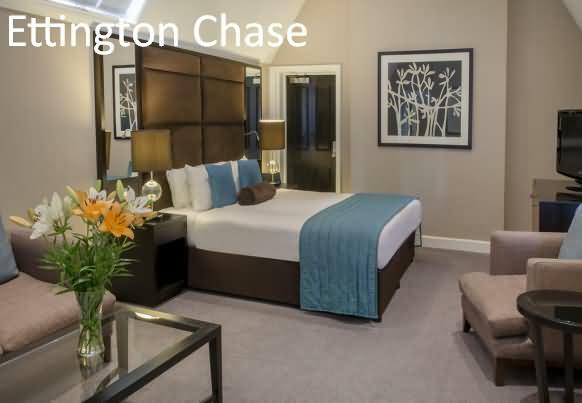 The George Townhouse provides free private on-site parking for guests, and room service is also available. There is also a Sherlock Holmes style Library Lounge, with leather furniture and a selection of books and daily newspapers. A private dining room is also available. Just 20 minutes’ drive from Stratford-upon-Avon, The George Townhouse is 10 minutes from The Brailes Golf Club. The Stour Gallery is 100 yards away and there are regular local buses departing close by. Richard Mawle extends a warm welcome to you at Nethercote	Fields. Good parking facilities. All rooms are fitted with televisions and tea and coffee making facilities and lounge with 50 inch television. Floor is all on one level and the Fox and Hounds public house Great Wolford is only 800 yards away on footpath across fields. The stable conversion looks out to open fields and the farm. 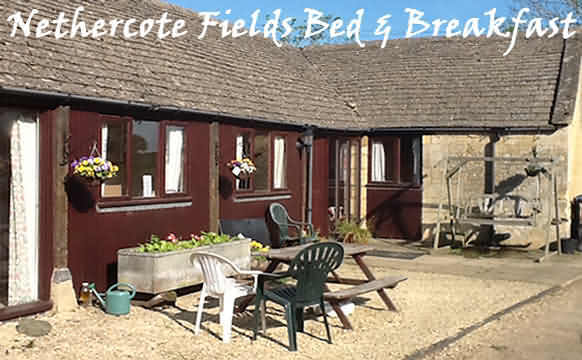 We are located in the cotswolds three miles from Moreton in the Marsh	which has a train station and a good bus service. 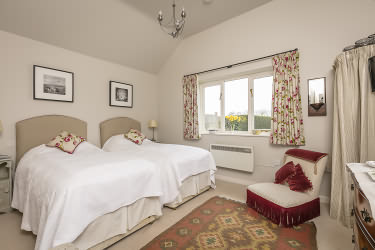 Nethercote Fields offers a comfortable relaxed stay with far reaching Cotswold views. Shakespeare's Stratford (14 miles), Oxford (22 miles), Banbury (14 miles), and the Cotwolds on the door step! 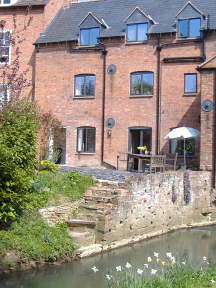 Nethercote Fields Bed and Breakfast offers television, and coffee, tea, and hot chocolate making facilities in each room. There are two en-suite bathrooms and other shared facilities. There are plenty of places of interest Bourton on the Water, Stow on the Wold, Bibury, are all fairly close as are the Roll Right	Stones and Chedworth Roman villa and the battle of Edge Hill 1642. There is a large comfortable lounge with an open fireplace for our guests. A large video library is also at your disposal. Read a book, go for a walk, meander around the farm, or go 'history hunting' in any of the near-by villages. 'Antique-ing' is a specialty in the area as well! The accommodation has: 2 bedrooms, both rooms have super king size beds and are en-suite, one of which can be altered to a twin room. Nethercote Fields has an indoor swimming pool which can also be opened to become an outdoor pool on lovely warm summer days. 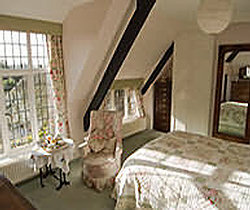 are en-suite, one of which can be altered to a twin room. The price for 2019 is £45.00 single or £75.00 double including full Breakfast. Note: longer stays come with special perks. Ask about our "special breaks" price. 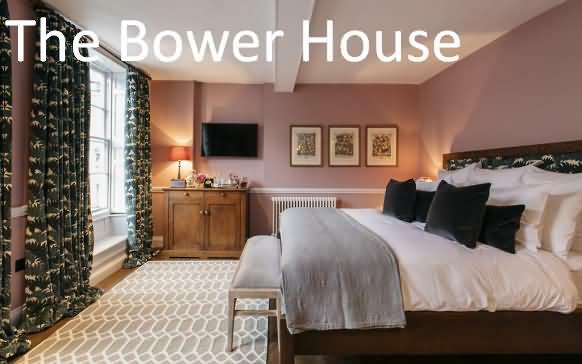 Price Guide:- One double bedroom and one twin bedroom, both en suite, from £90.00 per night. 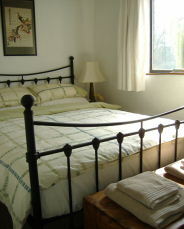 Single occupancy £55.00. Located in centre of Shipston on Stour, 28 miles from Oxford, The Bower House is Grade II listed building dating from 1731. Guests can enjoy the on-site restaurant and bar. Free WiFi is available throughout the property. FREE PARKING. Each room at this hotel has a TV. You will find a coffee machine in the room. Rooms include a private bathroom with a shower and a separate bath. Extras include bathrobes and a hairdryer. 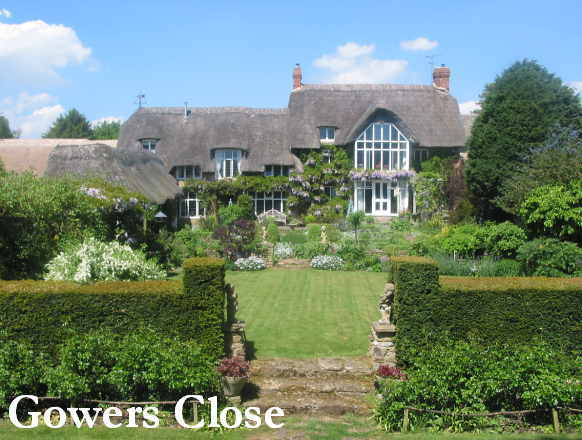 Hidcote Manor Garden, in the Cotswold Area of Outstanding Natural Beauty, is 7.5 miles The Bower House. Stratford-upon-Avon is 10.3 miles from the property, while Cheltenham is 28 miles away. Birmingham Airport is 32.3 miles from The Bower House. One of the top 50 places to get the perfect Sunday Lunch according to Tom Parker Bowles, restaurant critic for the Sunday Times. 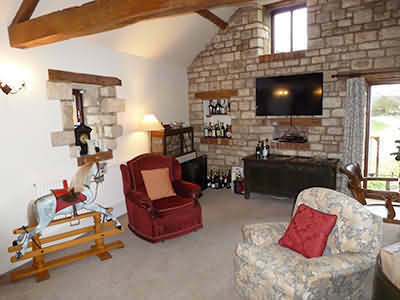 Distiller’s Cottage is located in the quiet Warwickshire village of Blackwell, just off The Fosse Way with Stratford upon Avon a few miles to the west, Warwick to the north and Cotswold villages like Moreton in Marsh, Chipping Campden, Broadway and Stow on the Wold to the south. 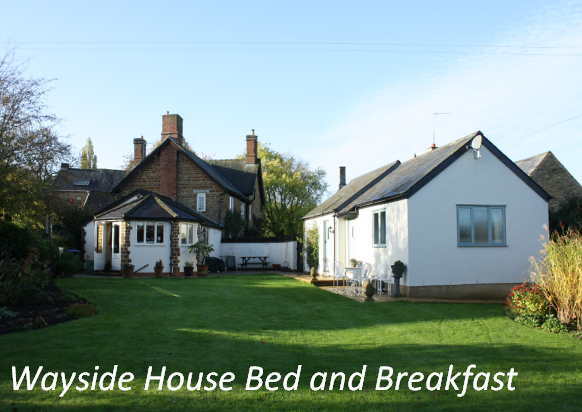 This one-bedroom cottage (sleeps 2) combines rural charm with modern facilities. Distiller’s Cottage takes its name from the local cider making which took place there in times past. Interior features include exposed stonework and beams, wooden latch doors, a log burning stove and a stable door onto a patio. Outside, guests can enjoy peace and quiet and bird song. We are surrounded by an extensive network of footpaths and bridle ways making it a wonderful area for guests to explore the countryside, or visit the many gardens e.g.., Kiftsgate, Hidcote, Upton House, Coughton Court to name but a few. Visit Shakespeare's birthplace and the theatre in Stratford-upon-Avon only 7 miles away with Warwick Castle 10 miles away. There are some very good restaurant/pubs in the adjoining villages. Contact us for current prices. We accept well-behaved dogs. 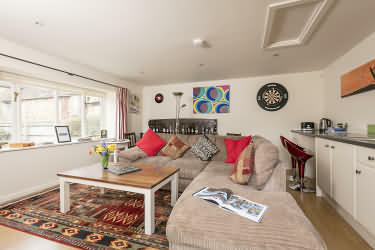 Prices from £250 per week and short breaks (minimum 3 nights) also available.